Gradberry is launching today out of Y Combinator to connect US companies with vetted technical talent. Candidates quickly build a talent profile, connecting their GitHub, online portfolios and projects, and LinkedIn account. The talent profile is then vetted by the Gradberry team and approved candidates are passed along to specific employers. Founder Iba Masood is a tech nerd. From the time her family got their first computer when she was four, she has been fascinated with technology and the impact it could play on society. From tinkering with hardware to early online gaming, Masood soon found her community on the pages of TechCrunch and HackerNews. 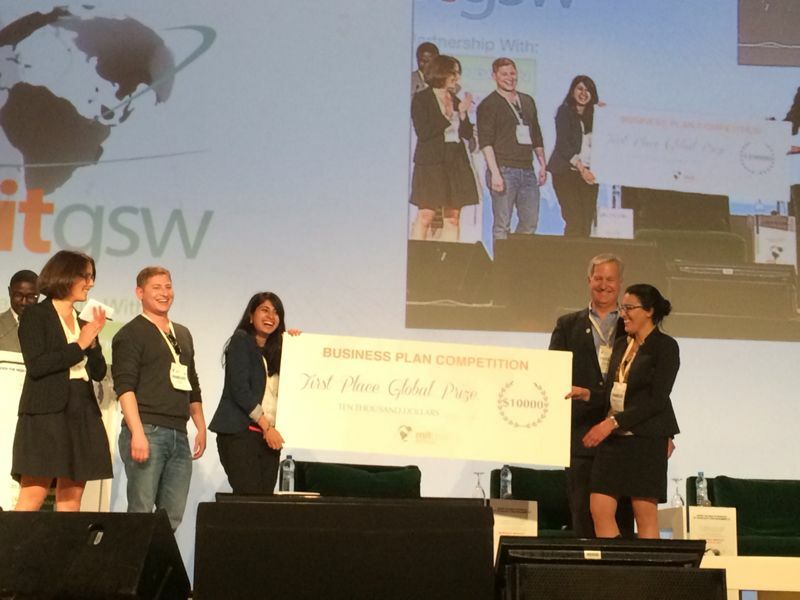 Without access to capital, Gradberry started applying for business plan competitions. One of those competitions was the Re@Connect Challenge in 2014, sponsored by the U.S. Department of State. The program brought together like-minded entrepreneurs in central Asia, connected them with mentors and facilitated a pitch-off where teams could win small grants. Gradberry won $5K at the finals in Kathmandu, Nepal, which is where I met them for the first time. Another was the MIT Global Startup Workshop later that year in Morocco, which they won. “If we could compete with startups coming out of MIT, we figured we were onto something,” Masood says. Living situation aside, Gradberry evolved over the course of the program. MassChallenge was able to introduce them to mentors and employers who got their vision and pushed them to think about scalability. For example, originally the team was producing their own educational courses. Recognizing that there was both ample content available and that producing content was a very different business, Gradberry pivoted to hosting content and focusing on vetting the candidates. During this transition, the business continued to grow 10 percent month-over-month. While helping peers in MassChallenge with its Y Combinator applications, Masood said she was inspired to apply to the program, as well. After being turned down twice, the Gradberry team was finally granted an interview and in December joined the most recent batch of YC. “It was a decade-long dream in the making,” says Masood. Though admittedly still experimenting with the process, employers usually see a minimum of 10 curated candidates every week. On average, eight of the 10 candidates directly recommended through Gradberry are interviewed by employers. Similar to other recruiting models, Gradberry takes a commission of $8K on each job placement. If a candidate is not approved, Gradberry provides individualized feedback on how an individual can strengthen their profile — from contributing more to open source projects to recommending a C++ developer also learn Python and providing the content to do that. Many startups are already attempting to fill the skills gap and recruit employees, including HackerRank, Hired, AngelList and LearnUp. But Gradberry says it differentiates itself by relying on a combination of automated assessment with human curation and that human layer is what resonates most with potential employers. The platform also uses education in a very targeted manner, helping candidates to improve on select skills for a specific job they desire. This has led to substantially higher completion rates as compared with most online courses. Gradberry has registered 106 companies on the platform which is up from 31 since early February; 80 percent of their customers are a result of inbound traffic. Almost all of that growth has come from U.S.-based employers who now represent 95 percent of their job opportunities. About 55 percent of those sign-ups come from fellow YC companies or alums, a common practice for startups to test out each others’ services. On the other side of the marketplace, the platform has recruited graduates from over 20 universities, though Gradberry declined to provide exact numbers on users or placements. They are screening 10-30 candidates per day. From this, Gradberry also sees itself in a unique position to find the best candidates, as well as track trends in skill demand on the employer side. Further automation of the process of screening candidates is also in the pipeline.